Colour that is! I am back! First of all, Happy New year lovelies! Hope 2014 was kind to you and I am wishing you a very happy and prosperous 2015. As most of you know, I took a break from blogging right after I came back from our holiday because of my father being sick and me having to go home to visit before it's too late. Unfortunately, he passed away just after Christmas and it didn't feel right to blog or should I say the inspiration and blog post ideas were non-existent. With grief comes a change and I need one big time. Between you and I, we both know that our hair gets it first when something tragic happens. So, I've said goodbye to my blonde ombre. Hooray! I feel like myself again. I no longer hate my hair if it's not curled or styled. I can, once again, just let is air dry and still look decent-ish and not like someone with ugly, unmaintained dark roots. Cringe! There are still some obvious colour difference but it is looking much (much) more toned down and I think with re-colouring in the next few weeks I should be back to my "original" hair colour, that is if I can remember it. I had fun with my blonde ombre and probably the last time I'll be having it. It was just too high-maintenance making it look how I wanted it and at the end of the day time is something I don't have a lot of. I'll stick to my browns for now. 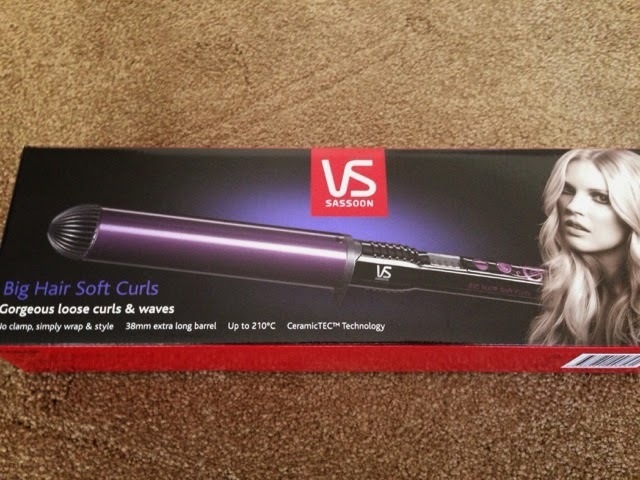 I also bought a new curling iron - 38mm clipless iron to be exact. I was feeling adventurous and thought a clipless iron is fierce and very much like an adult way of styling your hair. I feel this barrel size creates the best loose waves for that effortless messy looking hair. I got it from the Myer Stocktake sale for AU$20 (Bargain!) So far I've only burned my fingertips 2x and my ears once so I think we're on the right track. It also takes me 10mins to do my hair and even quicker if I just want to curl some of my hair to add texture and shape. This has been one of the my favourite item of purchase in the last few weeks. Anyway, I am back so watch this space for more upcoming posts. Thank you for all your well wishes and condolences. Thank you for respecting my absence too. It really means a lot to me. You are all amazing! ps. I used L'Oreal Superior Preference in Brown - Link! But I love your hair. Love your hair :) and L'Oreal is one of my trustful brand for dying hair.